Imagine an instrument that has the potential of instantly reporting your corals’ well-being – specifically an estimate of zooxanthellae chlorophyll content. One could think of it as a ‘coral bleaching early warning device.’ This isn’t science fiction, but it is a lot of science. Based on technology developed by NASA, Spectrum Technologies markets a ‘chlorophyll meter’ – the FieldScout CM1000. This instrument is a simple point-and-shoot device (so simple a caveman can do it, as the TV commercial says). The CM1000 immediately analyzes, averages and stores data for future reference. If this sounds too good to be true, perhaps it is as there are some downsides – price, and an inability to measure chlorophyll through more than an inch or two of water – but we’ll examine these ‘handicaps’ later in this article. I learned of the CM1000 when I happened across the Spectrum Technologies site while doing a web search on a peripheral subject. Intrigued, I called Spectrum and explained that I wanted to estimate chlorophyll content of zooxanthellae within corals. This question stumped the available technical staff. The CM1000’s target markets are golf courses, commercial greenhouses, orchards, etc., so mine was probably the ‘oddball question of the day.’ They were able to tell me that the instrument would not accurately measure chlorophyll content through a water column. However, if the corals were to be removed from the water, this instrument would likely measure zooxanthellae chlorophyll a. They would check with the inventor. Again, the same answer – theoretically yes, but not absolutely certain. Spectrum agreed to send a unit for testing with two conditions – I report the results, and, if satisfied that the unit would generate meaningful data, I would purchase it. If this device worked with corals, it could allow easily generated insights on long-term photoadaptation or photoacclimation processes and pigmentation shifts without destructive sampling. The FieldScout CM1000 Chlorophyll Meter determines Relative Chlorophyll Content Index through measurement of two ‘light’ wavelengths – 700 nm (red) and 840 nm (near-infrared). The device senses these wavelengths from the light source and those reflected from the targeted surface. Since chlorophyll absorbs red light (700nm) and reflects near-infrared (840nm), the instrument compares the results of these measurements and calculates an estimate of chlorophyll content. This is made possible by internal workings including, among other things, beam-splitters, cutoff filters, two toggle-switch actuated diode lasers, a reflectance standard, a dark reference, a photodiode and a microprocessor tied into a liquid crystal display. Quite a lot packed into a small, battery-operated handheld unit. The FieldScout takes one measurement of ambient and reflected light per second (without the optional GPS – one measurement is taken every 3-4 seconds with the GPS). The microprocessor calculates a relative Chlorophyll Index and displays this number (0-999) in the LCD. An average is calculated among multiple readings. 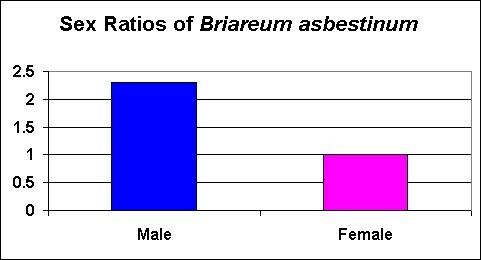 These, along with the number of measurements made, are displayed along with the instantaneous relative Chlorophyll Index (See Figure 1). Figure 1. The control panel of the FieldScout. The LCD indicates an instantaneous Chlorophyll Index of 264, with a running average of 242 among 19 measurements. A built-in light meter indicates light intensity (Brightness, or BRT) of 1. Testing procedures must be fairly standardized for consistent results. The Field Scout does not provide the lighting source for chlorophyll measurements so ambient lighting must be used. Light intensity should be intense, and illuminate both the instrument’s light meter and the target. The CM1000 does, however, include two red lasers for sighting purposes. Spectrum recommends that the target object should be no closer to the sensor than 28.4 cm (11.2 inches); at this distance the field of view is 1.10cm in diameter (0.434 inches). There is also a recommended maximum distance of 183cm (72 inches – The field of view at this distance is 18.8cm, or 7.4″ in diameter). First, I had to make a determination of coral reflectance. To do so, I used an Ocean Optics USB2000 spectrometer with a fiber optic cable and reference standard (Spectrolon diffuse standard, >99%). A dark reference was taken, followed by that of the Spectrolon standard, and finally the reflected light from a coral’s surface. Reflectance is figured mathematically by the Ocean Optics software. The result suggested that the FieldScout would work with corals. See Figure 2. Figure 2. 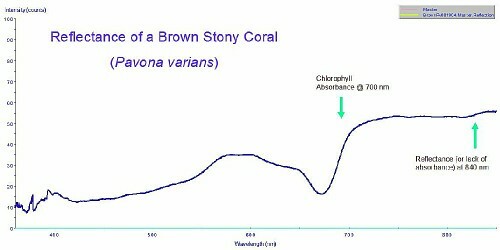 The reflectance of a brown stony coral, Pavona species. This scan suggested the CM1000 had a good chance of measuring chlorophyll content within zooxanthellae. Spectrum advertises measurement repeatability is ±5%. I compared indices (of a green plant) taken over a range of light intensities. The individual data sets were indeed in good agreement. However, comparison of indices in all data sets revealed differences of up to 13%. I need to investigate this further, but it appears that lower light intensity causes slightly higher measurements and, conversely, high light intensity measurements are relatively lower (these measurements were made with natural sunlight throughout the day in clear, part cloudy and overcast conditions, with a range of 1 to 6 on the meter’s ‘Brightness’ scale). Spectrum suggests that higher light intensity increases resolution and perhaps that is the explanation. Since we’re interested in trends, this is probably not that much of an issue. However, I will work to standardize conditions as much as possible when taking measurements (see my thoughts in ‘Discussion’ below). And, as a footnote: Can Artificial Light Sources Be Used? Spectrum Technologies recommends natural sunlight as the source. However, it is possible to use artificial light as the source if two conditions are met. First, the light must be intense (at least 250 – 300 micromol·m²·sec, or about 15,000 lux. A built-in light meter estimates light intensity and reports it on a scale of 0-9 on the LCD display. A brightness of ‘1’ is the minimum amount of light required for proper measurements). Second, use either a lamp using direct current (DC) or alternating current (AC) at 60 hertz. Spectrum specifically recommends tungsten or halogen lamps (probably due to the amount of red and near-IR energy produced). I can’t think of a reason why many (if not most) metal halide lamps could also be used. The meter must be modified for use with light sources operating at 50 hertz. Incidentally, an error message of ‘Excessive Light’ is prompted when the sensors are saturated with light. Maximum sunlight has not generated this message, but it is a possibility under some of the higher wattage metal halide lamps. The CM1000 includes two diode lasers for sighting. These are 3mW maximum output in the red spectral range of 635-670nm. These ‘laser pointers’ are quite bright and can be seen in even the most intense Hawaiian sunlight. Each of these lasers are slightly angled resulting in their beams intersecting about 30cm (12″) from the instrument’s lens – this is a very convenient tool for instant verification that the unit is the proper distance from the target as well as for sighting. The Chlorophyll Meter seems to be a rugged unit. Its housing (made of heavy plastic) is said to be dust-proof. Since I’ve managed to occasionally splash the meter with seawater, it seems to be splash-proof as well – but not water-resistant and certainly not water-proof). Spectrum recommends operating temperatures of between 0 and 40°C (32-104° F). As with any electronic unit, this meter should be handled with care and environmental extremes avoided. 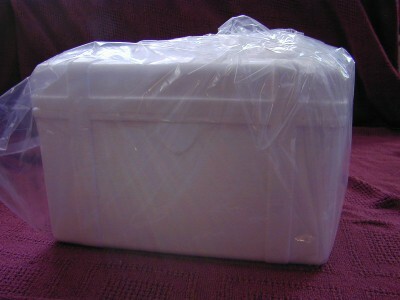 Spectrum supplies a sturdy plastic carrying case with foam insert at no additional charge. The CM-1000 requires two AAA alkaline batteries. Although other batteries can be used (such as NiCads), Spectrum recommends alkaline batteries in order for the battery charge indicator to work properly. Battery life is rated as ‘good’. Without the optional GPS, Spectrum says 3,000 measurements are possible on one battery set. This seems a bit of an overestimation, however, I have had to replace batteries only once in 4 months of usage. The CM-1000 automatically shutdowns after 20 minutes of inactivity in order to conserve batteries. The LCD will also display a ‘Low Battery’ warning when the batteries reach 20% of full charge. 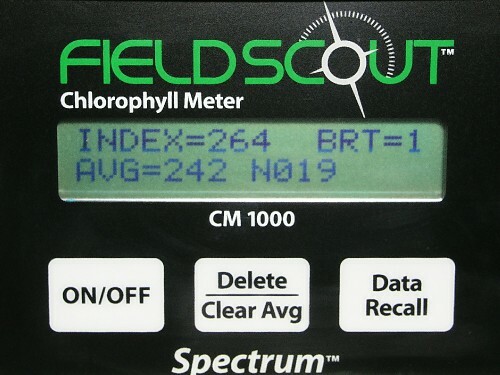 In its basic configuration (i.e., without optional data logging) the FieldScout can store up to 64 Chlorophyll Indices and these are available through the ‘Recall Data’ function. Oddly, the chlorophyll meter can count up to 250 data points in a data series. Now that we understand the theory of operation and instrument function, we can get down to business and test the CM1000. The first test involved green algae and measured the instrument’s ability to discriminate among small increments of ‘known’ chlorophyll concentrations. The second test involved corals over a timescale of months. A simple test was devised to determine if the Chlorophyll Meter could recognize small differences in chlorophyll content of green algae. A 2-liter sample of ‘greenwater’ was analyzed for suspended solids. The sample was divided into aliquots of increasing volume. The procedure outlined in StandardMethods was used, and equipment included an analytical balance (Sartorius), a drying oven at 103°C, and glass microfiber filters (Whatman, 934-AH, 47mm with pore size of 1.5 microns). This procedure allows determination of the weight of particulate matter suspended within the sample and when divided by area, arrives at weight per area (in this case, milligrams per square centimeter). It was assumed that the entire suspended solids’ weight was due to chlorophyll a content (which, of course, it isn’t. However this method errs on the side of caution, and we see that the meter can distinguish between very small incremental increases of chlorophyll content). Multiple readings (in sunlight) of each algae sample/filter were made and the average index was charted. See Figure 2. The results suggest that the instrument is capable of detecting small differences of chlorophyll, and that the trend appears to be linear at these concentrations. The final portion of this test was conducted outside in conditions of varying sunlight intensity, and persistent trade winds made holding the filters steady difficult. My curiosity was satisfied, and I did not wish to repeat the 4 hour test. See Figure 3. Notice that the meter reports a Chlorophyll Index in the high 60’s for a clean, white glass microfibre filter. This is due to the reflective properties of the filter. See comments below about the reflective properties of a coral skeleton. Figure 3. Relative Chlorophyll Indices (‘Chl Index’ on the Y-axis) and approximate chlorophyll content in milligrams per square centimeter. Many questions had to be answered before I would be comfortable with results. The first question – How far could the two reference beams penetrate a water column? Since red wavelengths are quickly absorbed by water (and near-IR even more quickly), it was of little hope that ‘in-aquaria’ measurements could be made. Although the meter could detect chlorophyll content to a depth of about 10cm, the results were also low, and sometimes erratic. It appears that the corals have to be removed from the water in order to test their zooxanthellae chlorophyll content (but see remarks for a potential way of getting around this. See comments in ‘Discussion’). The second problem is with the coral itself, more specifically, the reflective properties of the white coral skeleton beneath the thin layer of tissue. Spectrum warns that the reflectance of a light-colored or white surface may give a false reading. This seems to be true (as indicated by the results with the glass microfibre filter). It also seems true for coral skeletons, as the Chlorophyll Index of a reflectance standard made of a polished (and chemically bleached) Porites skeleton indicates a index of about 55 (mean of 25 readings made over a range of light intensities). In other words, the base index for a coral is ~55, and a measurement near this number would indicate total bleaching. For what it’s worth, a measurement of 55 is about 5% of the meter’s maximum measuring capability. In any case, I began monitoring the chlorophyll index of captive corals in one of the Natural Energy Laboratory’s (NELHA) outdoor tanks. Figures 4 and 5 shows the Porites evermanni specimen before and after a bleaching episode. If the chlorophyll indices are any indication, the CM1000 noted a drop in zooxanthellae (or zooxanthellae chlorophyll a) well before any visual sign of bleaching was apparent. Figure 4. A nicely colored ‘Lobe’ coral (Porites evermanni) and average relative Chlorophyll Indices (with dates and number of measurements). The coral is healthy and robust. Figure 5. June 28, 2005 – The same Porites colony shown in Figure 5 – it is obviously in distress. Chlorophyll indices as low 58 were noted. This suggests almost total bleaching has occurred, an observation verified by sight alone. This colony is maintained with other propagated Porites evermanni in an ‘open system’ outdoor tank utilizing natural sunlight as the actinic source. All P. evermanni specimens suffered bleaching, while other Porites colonies (P. lobata), Pocillopora meandrina and Pavona varians did not. These colonies showed no drop in their Chlorophyll Indices. It is not known why only the Porites evermanni colonies bleached. Was it over-illumination, resulting in chronic photoinhibition and ultimately death or expulsion of zooxanthellae? If so, what does this suggest about theories of colorful coral pigments and their suggested links to photoprotection? Could ultraviolet radiation have played a part? 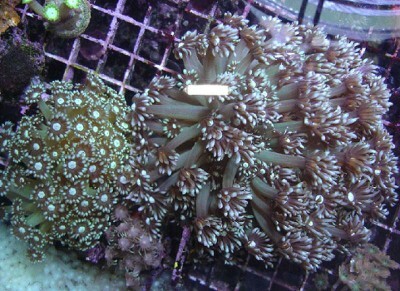 Why would the captive corals lose resistance to UV? Could it be due to diet, or possibly lack of nutrition (due to insufficient water motion resulting in poor particle delivery)? The parade of questions is almost endless. Most important, though, is the concept that bleaching (in some cases) could be predicted and preventive measures could be taken to limit the impact. The CM1000 is not inexpensive – it retails for about $2,200, plus shipping. Is it worth the price? That really depends upon your situation. Almost certainly, this instrument would not appeal to the average hobbyist. However, professional aquarists, coral farmers and researchers may find this instrument of use. The potential for predicting bleaching events would be of great value to those with large capital outlays invested in their livestock, brood stock and systems. Although still under investigation, this unit could also be of benefit to scientists wishing to monitor zooxanthellae content/health with a non-invasive means. Anyone who has ever extracted chlorophyll a with appropriate organic solvents and quantified chlorophyll content via spectrophotometric means (for instance, using the equations of Jeffrey and Humphrey, 1975) will really appreciate what this instrument has the potential to do. It may come as a surprise that the purchase price really is a breakthrough – previous setups had costs exceeding $60,000. A PAM (pulse amplitude modulation) fluorometer senses chlorophyll through fluorescence, and these units start at about $5,000. Even with cost aside, a PAM meter requires careful setup, and evaluation of resulting data is time consuming. Even more important than price, we potentially have a simple to use, point-and-shoot meter capable of examining zooxanthellae chlorophyll content of the same coral sample (no destructive sampling) over time and under differing environmental conditions. The experimental possibilities are almost unlimited. 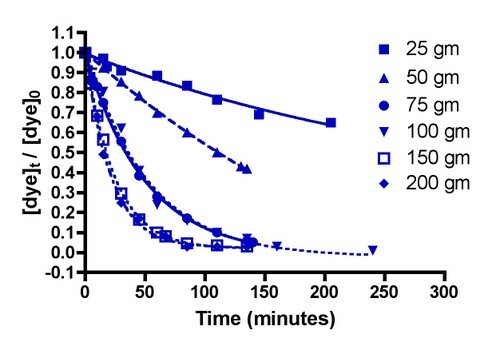 While a PAM meter tells us fluorescence and suggests relative chlorophyll content (less chlorophyll generally equals less min/max fluorescence) and is excellent for monitoring short-term and dynamic photosynthetic processes, it is not particularly good in allowing glimpses into long-term responses. The CM1000, on the other hand, seems to allow long-term monitoring of zooxanthellae -its ease of use and relatively large sampling area are genuine pluses. At this point – based on very early observations – any falling Chlorophyll Index over the course of just a few days should encourage increased monitoring. Of course, this instrument will be of little use in predicting catastrophic bleaching events due to extremely high temperature (a ‘stuck’ heater), rapid and severe salinity modulations, etc. However, those ‘long term’ stressors resulting in bleaching (associated with high UV dosage, poor water motion potentially resulting in nutrient deficiencies, toxicity issues, etc.) might be corrected before serious bleaching and coral fatalities result. On the other hand, an increasing relative Chlorophyll Index could indicate a response to increasing nutrient (such as nitrogen) content in the water. It is an interesting thought that perhaps (and this is only a hypothesis) loss of coloration could be predicted with a rising chlorophyll index. It is theoretically possible to estimate the accessory pigment content (peridinin, chlorophyll c) of zooxanthellae based on chlorophyll a content. There is a lot of work to do in this area, and I think I have enough years left to at least scratch the surface. The scant evidence at present suggests that long-term bleaching events (as opposed to cataclysmic ‘immediate’ bleaching) of corals within aquaria may be predictable. Granted, the initial observation of reduced chlorophyll content could possibly be due to other factors – photoacclimation (Titlyanov et al., 1980), seasonal variance of zooxanthellae photopigments (Stimson, 1997), etc. I personally believe (just a hunch) the bleaching event was due to excessive ultraviolet radiation resulting in chronic photoinhibition. I think it is possible to obtain underwater measurements if an underwater housing were to be used. 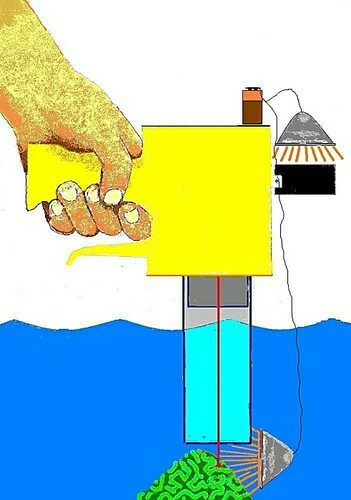 It is possible that the instrument could be fitted with an air-filled tube and light sources to allow in-situ measurements within aquaria (See Figure 6). The air-filled chamber will be about 12″ in length and will also act as a range guide in order to quickly and conveniently gage sensor-to-coral distance. This distance should provide relative Chlorophyll Indices of approximately 1cm². Light sources will probably be 12v halogen lamps (one in a waterproof housing). I expect some problems with laser reflection, and will have to perform some spectrometer work to standard lighting sources. At present, I don’t see these obstacles as insurmountable. One has to wonder of the possibilities of a modified Field Scout in an underwater housing for measurements in situ. Figure 6. My concept of modifications required in order to take chlorophyll measurements within an aquarium. An air-filled tube prevents major attenuation of red light and infrared energy generated by a submersed halogen lamp. Another battery-operated halogen lamp provides reference wavelengths to the CM1000’s light meter. The vertical red line is the instrument’s laser sight. For more info, visit www.specmeters.com. I will personally answer email directed either to the AAOM Forums, or RiddleLabs@aol.com. Jeffrey, S.W. and Humphrey, G. F. 1975. New spectrophotometric equations for determining chlorophylls a, b, c¹ and c² in higher plants, algae, and natural phytoplankton. Biochem. Physiol. Pflanz. 167: 191-194. Stimson, J., 1997. The annual cycle of density of zooxanthellae in the tissues of field and laboratory-held Pocilloporadamicornis (Linnaeus). J. Exp. Mar. Biol. Ecol., 214(1-2): 35-48. Titlyanov, E.A., M.G. Shaposhnikova and V.I. Zvalinskii, 1980. Photosynthesis and adaptation of corals to irradiance. I. Contents and native state of photosynthetic pigments in symbiotic microalga. Photosynthetica 14(3): 413-421.